At home, the average American family uses more than 350 gallons of water a day, according to the Environmental Protection Agency. Being water-conscious and limiting consumption plays an integral role in reducing pollution and saving energy and the world. Not only does water conservation protect our freshwater resources, it can also save money on utility bills, energy costs and septic systems. Check your faucets and pipes for leaks. 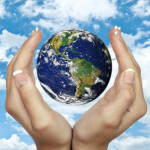 Even a small drip from a faucet can waste 20 gallons of water each day, according to Eartheasy.com. Once your faucets and pipes are leak-free, insulate them, so you don’t have to run them for long to heat up the water. Insulation can also prevent pipes bursting in freezing temperatures. To reduce wasted water, replace your old faucet with a smart-flow faucet and aerator. According to the EPA, WaterSense labeled faucets and accessories can save the average family 700 gallons of water yearly. Toilets account for nearly 27 percent of household water consumption, according to the EPA. If a new toilet isn’t in your budget, there are some painless ways to save toilet water. Don’t use your toilet to dispose of waste. Flushing Kleenex, cigarettes or paper towels uses unnecessary water when you should be throwing those things in the trash. They can also damage your septic system. Check your toilet for leaks by adding food coloring to the tank. If the color appears in the bowl within 30 minutes, you probably have a leak. As a green tip, before you throw out water from washing your hands or lightly soiled dishes, think of any other uses you may have for it. You can use “gray water” for some household cleaning and washing your car. You can also use gray water to safely water plants and gardens and for landscape maintenance. According to the EPA, about 30 percent of the water Americans use every day is devoted to outdoor uses such as watering lawns and gardens. Cut down on unnecessary water usage outside by using gray water, choosing smart irrigation systems and drought tolerant plants, and not over-saturating plants. Perhaps the simplest means to conserve water and energy is to cut back on our usage. Time yourself in the shower and when washing hands. A waterproof timer costs about $15 on Amazon. Only run the dishwasher, washing machine and dryer when you have full loads. Consider line drying clothing instead of using the dryer. Turn off lights when you leave the room and unplug appliances when they aren’t in use to avoid phantom loads. According to American Water & Energy Savers, kitchen sink garbage disposals can take large amounts of water to work properly. They also can add to 50 percent of the solid waste in septic tanks, which can lead to malfunctions and unnecessary and costly maintenance. A popular alternative to garbage disposals is starting a compost pile in your backyard or garden. Compost piles are easy to make and can turn your kitchen and household scraps into a proper soil conditioner and fertilizer. Apartment-dwellers could even consider starting an indoor composting system. Instead of using artificial lighting to illuminate your home, the EPA suggests taking advantage of natural light windows and skylights. Use sheer grommet curtains to let light in and energy-efficient solar shades to soften harsh light. Insulated curtains can also help to reduce the cost of heating your home. When you have to use artificial lighting, use CFLs or LED bulbs. Use a few of these tips to save water and save energy in your home. In 2012 the US experienced record levels of drought. Do your part to help conserve during these dry times.